The latest statement made by EU Enlargement Commissioner, Johannes Hahn that North Macedonia will be given a date in June and that this date will only act as a starting point for the preparative phase of EU negotiations, has triggered many reactions in Skopje. Deputy PM for European Affairs, Bujar Osmani said that Hahn’s statement has been misunderstood. “Hahn is one of the biggest supporters of the launch of accession talks this year and what he did was merely confirm the fact that we will receive a date in June”, Osmani said. Minister of Defence, Radmila Sekerinska also declared that the European Commission is in favour of the launch of accession talks between EU and North Macedonia. “This statement has been misrepresented. The European Commission clarified this today, saying that its position is the same as last year: we should start negotiations this year. The date will not be postponed and the country is not being ignored. This is a joint agenda that we have here”, Sekerinska said. 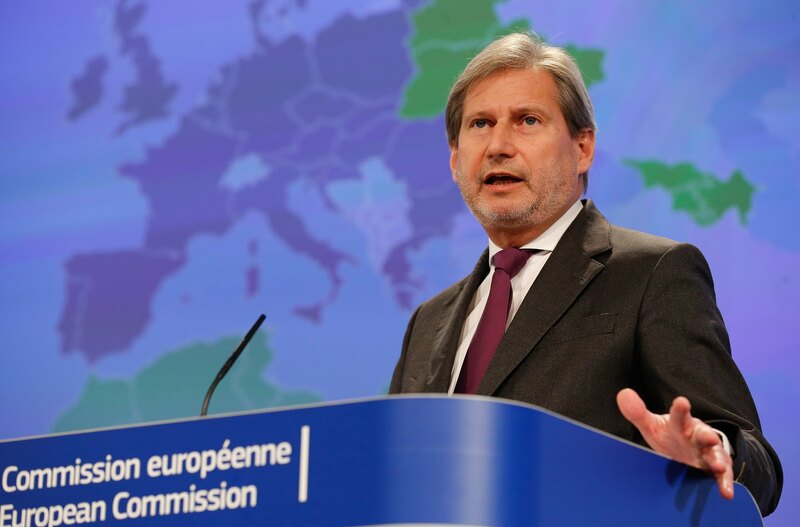 EU Enlargement Commissioner, Johannes Hahn on Tuesday told MEPs that the European Commission will recommend the opening of accession talks for North Macedonia and Albania on 29 May, assuring sceptics that this process is a gradual one and that the talks will not start immediately.